Nelly Packs Nelly Herbal Eye Pack Cover 4.5" X 8.5"
Always use extreme caution when placing a warm Nelly on your body or face. Never get your Nelly Pack wet. 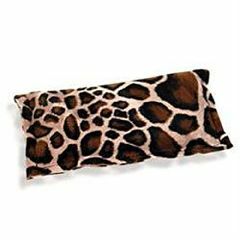 This washable eye pillow cover is large enough to fit the many different eye pillows and packs that we supply. These covers give you many diferent options for colors and prints. Enjoy all of our many prints while you ease your pain. Cover only, pack sold separately.